Stars: Holy Hunter, Zoe Kazan, Kumail Nanjiani, Anupam Kher, Ray Romano, Adeel Akhtar, Zenobia Shroff, Bo Burnham, Kurt Braunohler, Aidy Bryant, Vella Lovell, Jeremy Shamos, Myra Lucretia Taylor, and more. For several years, the rom-com industry has been escalating downward into a wasteland of bad jokes and tired tropes. 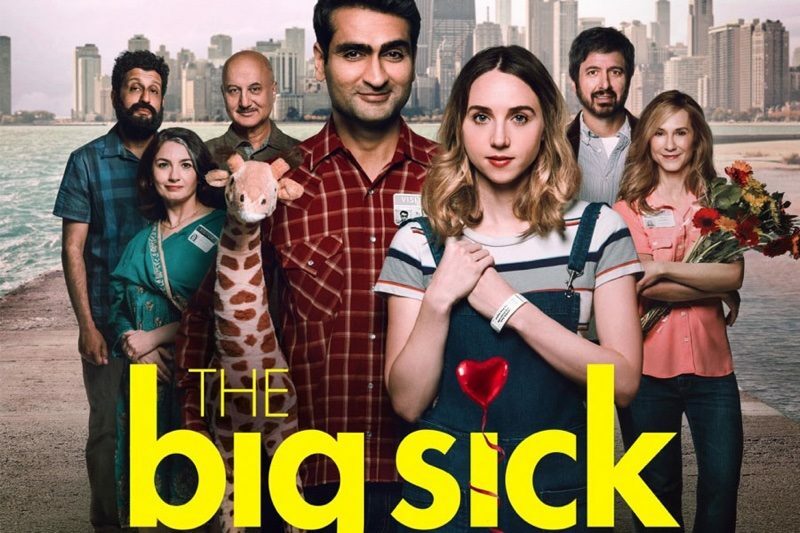 ‘The Big Sick’ does not undermine the agreed-upon convention within romantic comedy movies, and it is by no means a game changer. Nonetheless, it does a nice job of supplying fans of the genre with sufficient new spins in order to make it arguably the most proficient romantic comedy of the year. The narrative is based on the one-night stand experience of the Pakistani-American actor Kumail Nanjiani with his real wife and family. His parents desperately wish to convince him to stop his career as a comic, become a lawyer and opt for an arranged marriage. However, when he falls in love with Emily – a white woman- he’s forced to keep her a secret from the family. Things for the pair become more difficult when Emily goes into a medical-induced coma right after they split up. He feels obliged to guard the girl he loves as she gets more and more sick. What makes ‘The Big Sick’ different from other rom-com movies out there is that it has a cultural element. Nanjiani encounters substantial pressure from his Pakistani-born parents to enter the arranged marriage they have organized for him. Falling in love with a white woman complicates the whole situation for him. The split identity many children of immigrants encounter when growing up in Western societies remains an extremely robust unexplored theme in most films. These daughters and sons feel significant pressure to achieve the desires and dreams their parents have for them – in their religion, love life and careers. All the while they themselves have established their own lifestyles and dreams. This battle is perfectly portrayed in the movie and opens up a discussion for future films.